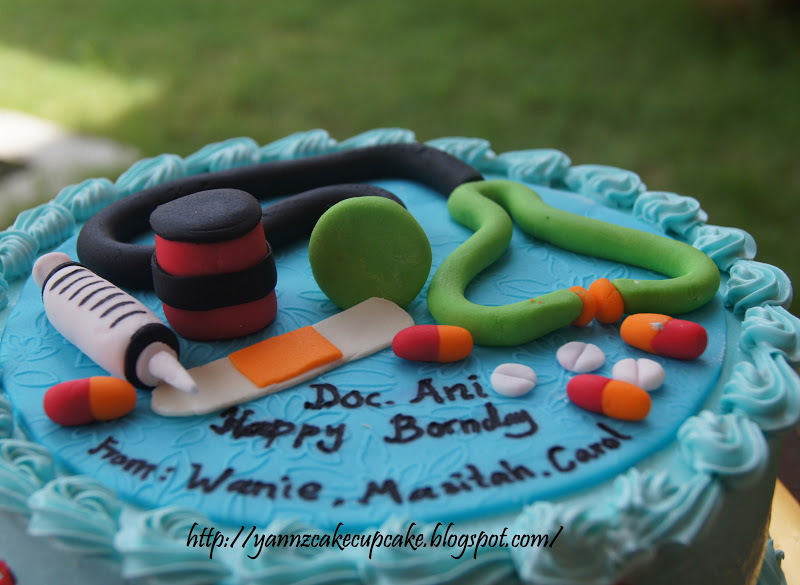 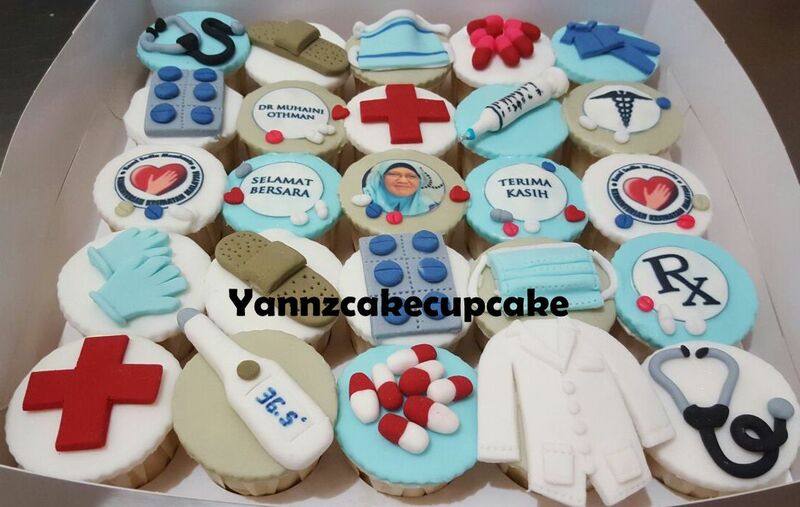 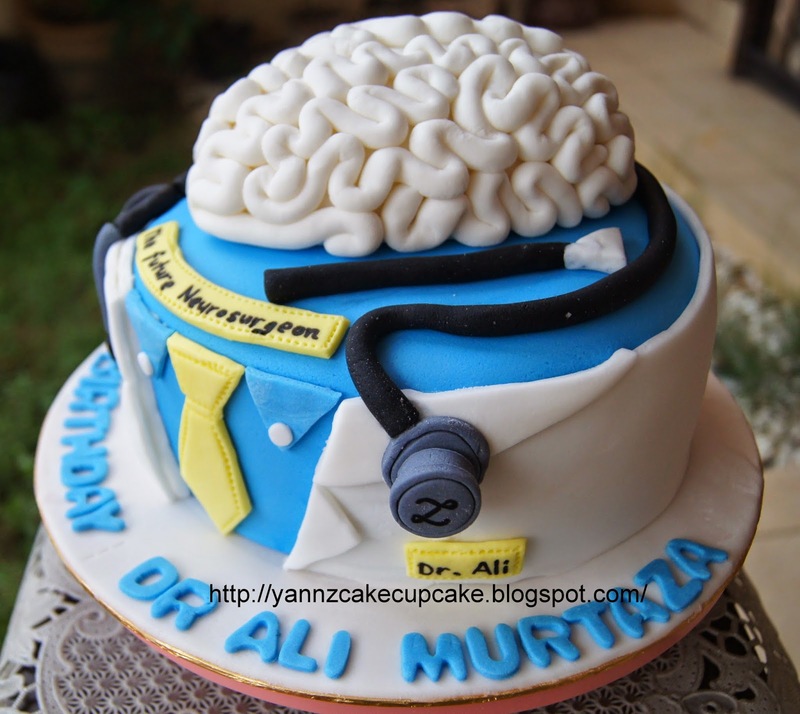 Order from Ms Nurul, staff nurse who want special birthday cupcakes for her birthday. 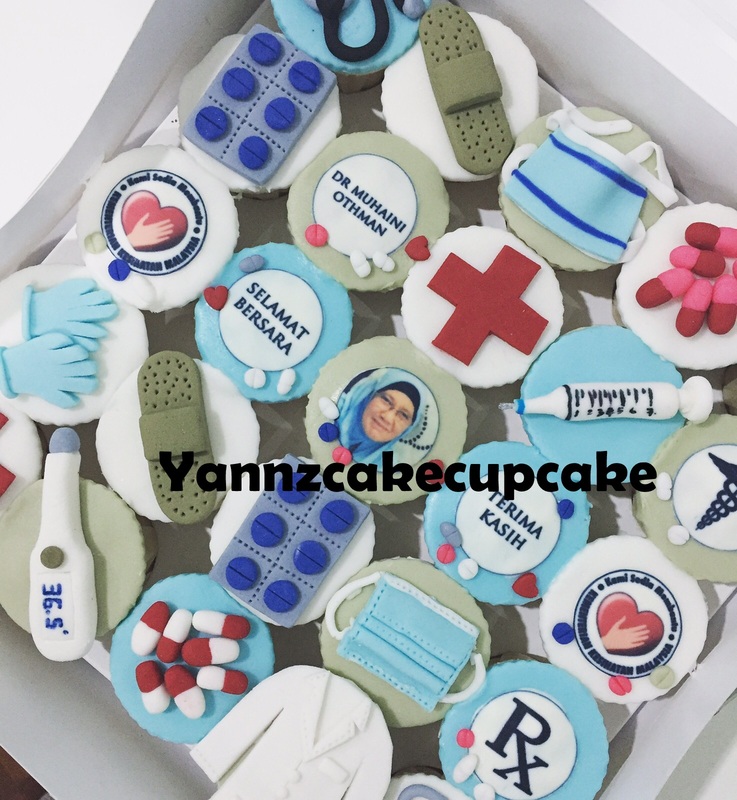 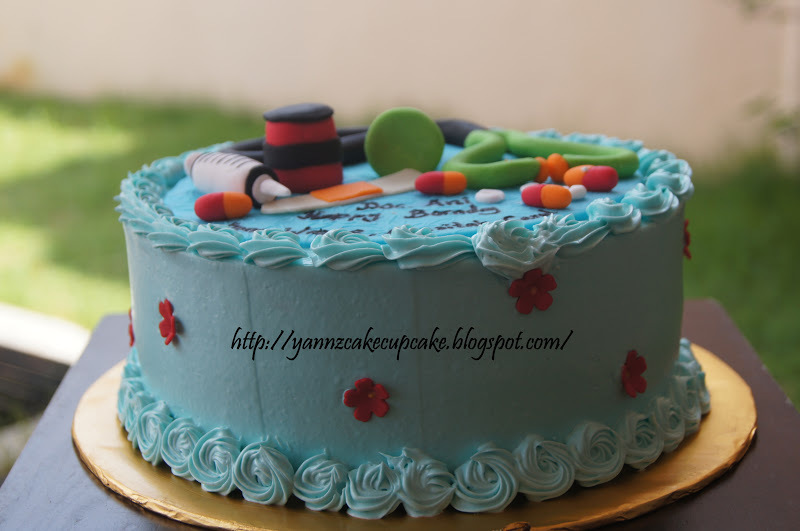 Theme is pastel baby blue & baby pink cupcakes with nurse and ambulance figurine. 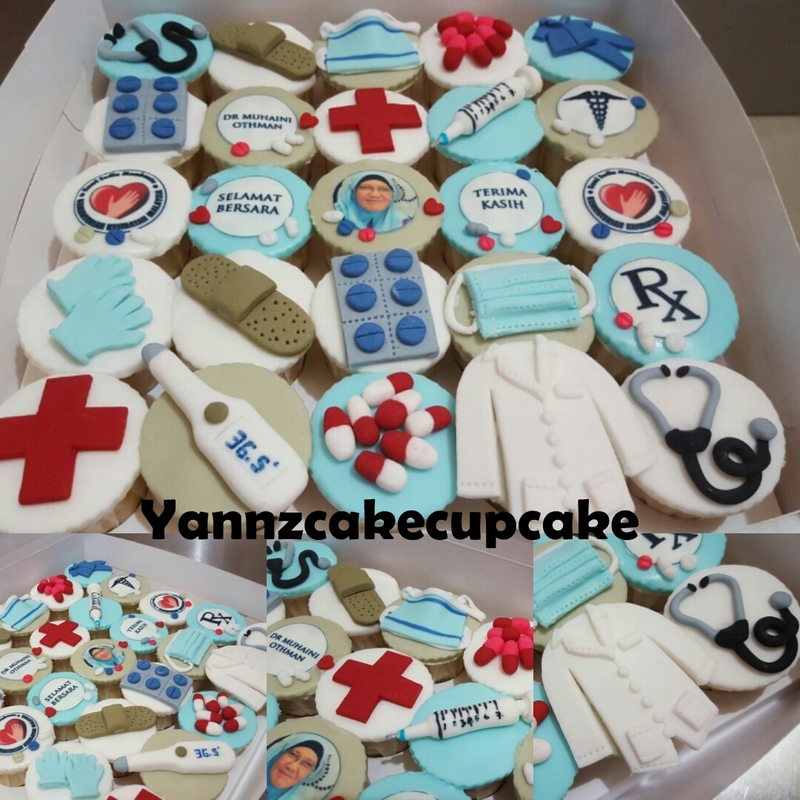 Making birthday cupcakes for Dr Lee with family theme. 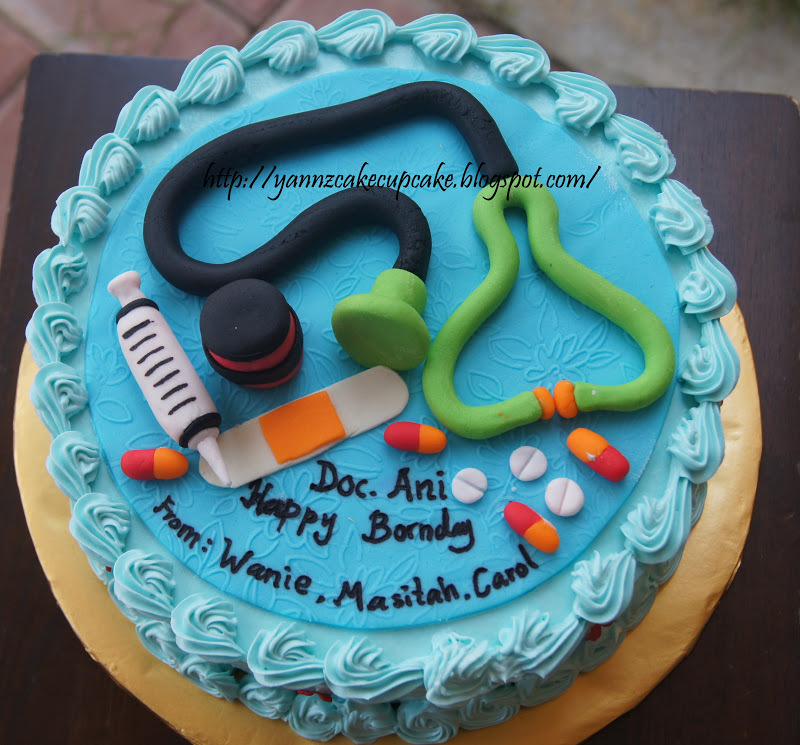 complete with 3 tier supermini cake. 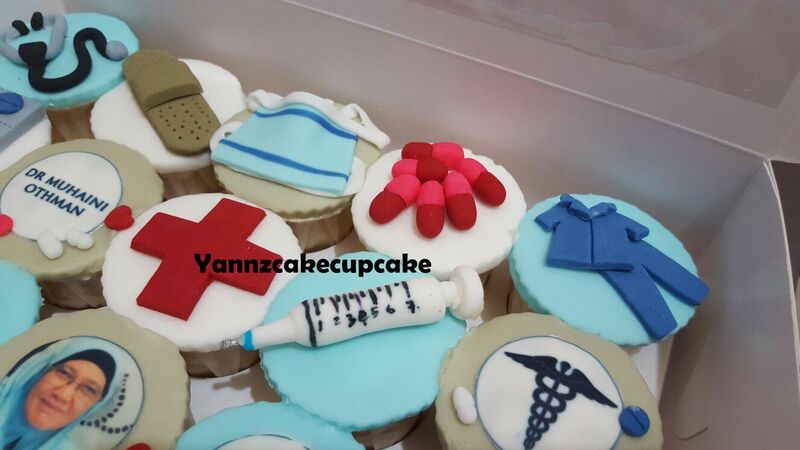 with Dr Coat, pills, gloves, shrink, other medilcal stuffes. 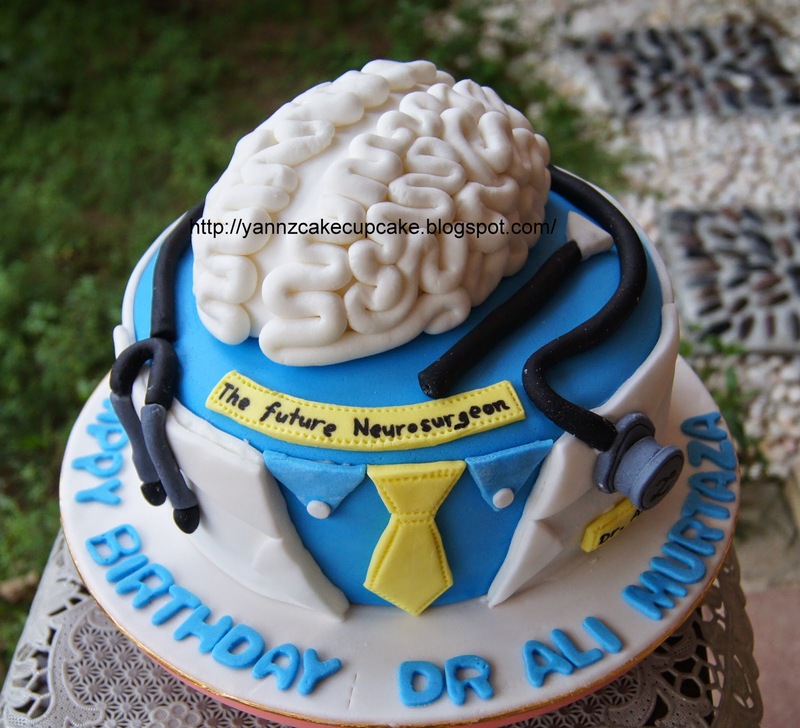 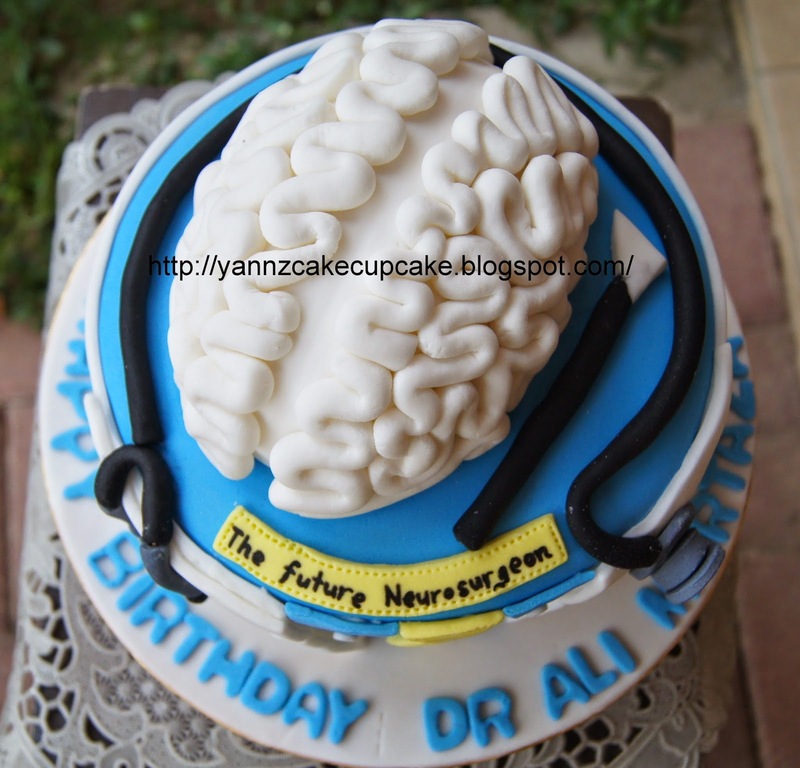 From Dr Shafeena, to her lovely husband Dr Ali.